We’ve got 3 locations to choose from. We serve the St.Louis area in: Dellwood, MO, Affton, MO, and Wentzville, MO. Visit your nearest location today. All 3 shops are open Monday-Friday 8:00 a.m.-6:00 p.m. and Saturdays Dellwood and Wentzville are open 8:00 a.m.-3:00 p.m. Affton is open 8-1pm" throughout website. Save on tires at Zisser Tire. Choose tires from great brands like Toyo, MICHELIN®, and Nexen. We are the low-profile tire specialists. Here at Zisser Tire, we do things a little bit differently. Are you looking for major brands at minor prices? Give us a call. Since 1984, we’ve been your hometown auto repair shop. 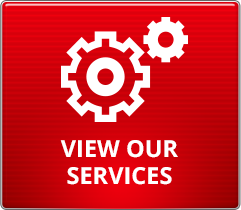 Our mission is to offer you the latest in parts and products at the best prices, and with unparalleled service. We pledge our best efforts to make your experience both beneficial and enjoyable. Once you try us, we're sure you'll be back for more! Do you have questions about your vehicle? We are the preventive maintenance specialists at Zisser Tire. Let us handle your brake repairs, wheel alignments, heating and air conditioning systems. We offer free TPMS programming.